All animated screen savers with 3D clock, moving bubbles and virtual fish in one! 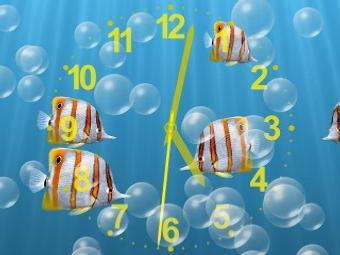 A big underwater clock helps you to always know current time, enjoy moving tropical fish and relax with floating colorful transparent bubbles. Screen saver free download is available for Windows 7/8, Vista and XP. 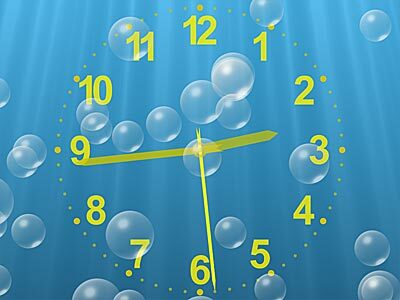 Underwater Clock Bubbles Screen Saver features a big underwater analog clock and moving transparent bubbles. Together with gently floating tropical fish, this create the perfect ambience for relaxation. This one of the best 3D animated bubble screen savers is compatible with desktop and laptop computers under Microsoft Windows 7/8/Vista/XP 32 and 64 bit. This bubbles screen saver decorates your Windows desktop with 3D animated bubble background, big underwater clock and sea bottom with tropical fish swimming among light rays! The soothing underwater visual effects and transparent bubbles flowing on the screen wash away the tiredness and stress of a long business day and 3D clock helps to know the exact time. Every second of our life is precious. Just display additional digital clock to know current time and date and live in Present Time! When the moving bubbles rise and burst, you can hear a dulcet relaxed sound. 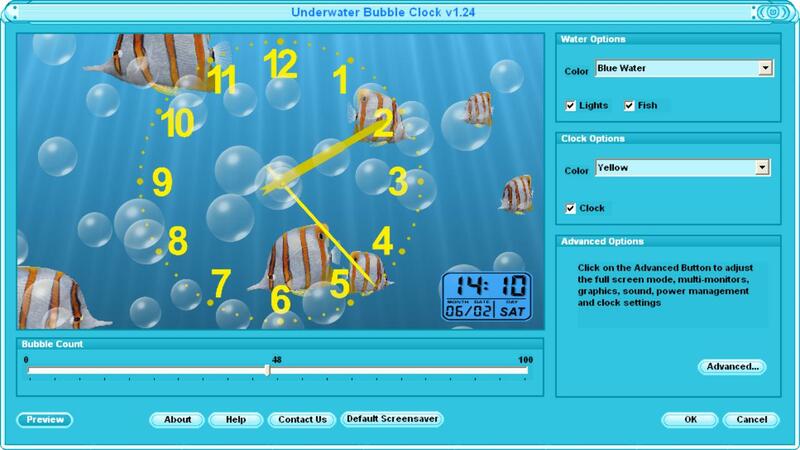 The 3D options lets you change the color underwater clock and water and density of the animated bubbles floating on computer screen. Raise your spirits and always know the current time! When you buy, full version can be downloaded immediately. A small file size makes it an easy download to your computer desktop. Our ecommerce providers ensures that you get your full version as soon as possible, making purchase based on your own familiar currency and payment method. 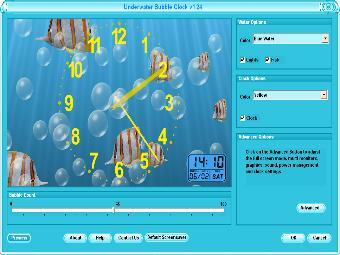 More moving transparent bubbles and underwater 3D clocks will be available in free screen saver downloadable updates.